If you discount Piranha 2: The Spawning (and most do anyway), then James Cameron has built one of the most incredible and impressive filmographies in the history of cinema, particularly in the science fiction genre. Between Aliens, The Abyss, and the first two Terminator films, Cameron wrote and directed some of the most innovative science-fiction films of the 1980s and early 1990s, helping the genre reach such an incredible high point that we may very well never see anything like it again. 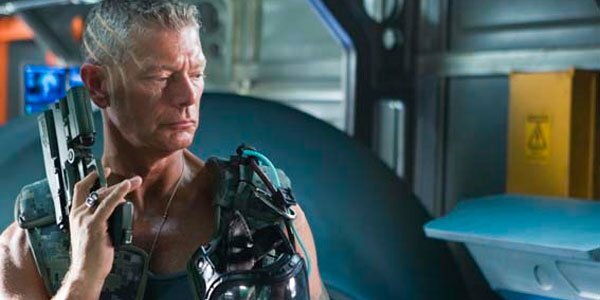 In addition to being the first feature film he has directed since Titanic in 1997, Avatar represents his return to the science-fiction genre after an 18-year absence. It was the film that, Cameron stated, he waited years to make, only feeling confident that the technology was ready after viewing the motion-capture Gollum in Peter Jackson’s Lord of the Rings films. Waiting for the right time paid off in full, with his newest work shattering the all-time box office record, both in the United States and internationally, and getting a Best Picture nomination at this year’s Academy Awards. The film, however, doesn’t deserve that statue. Let’s take a look at the last three films to take home the award. The Departed was an incredibly well-crafted crime story about duplicity on both sides of the law, supported by terrific turns from Matt Damon, Jack Nicholson and Leonardo DiCaprio. A return to serious drama for the Coen Brothers, No Country For Old Men, based on the novel by Cormac McCarthy, analyzes the modern day battle between good and evil in the style of a classic western, only this time the unstoppable force (Javier Bardem’s Anton Chigurh) has no problems with the unmovable object (Tommy Lee Jones’ Sherriff Ed Tom Bell). In Slumdog Millionaire, Danny Boyle used a game show to frame an incredible love story with compassionate characters who came from nothing. While many might argue that these films are far from the greatest ever made (some more than others), they all possessed qualities that Avatar does not. They may take our lives, but they’ll never take our freedom!! What's that? Gibson did it? Even before its release, people noticed that something was amiss with Avatar’s story. And by “amiss” I mean that the story has already been done 20 times. Take your pick: Dances With Wolves, Fern Gully, Pocahontas, The Last Samurai , etc. Man is given mission to infiltrate native forces to learn their weaknesses and report them. Man follows his objective for awhile but soon begins to identify more with the natives. A battle begins where Man fights with the natives against the people who gave him the original mission. When we look at Cameron as a writer, we are talking about a man who sent robots back in time to insure that machines would win the battle over humans in a future war. He put aliens in a movie about a diving team exploring the remains of a sunken submarine. He created one of the greatest love stories of all time around a horrible tragedy. He crafted movies of complexity and originality. And then there’s Avatar. 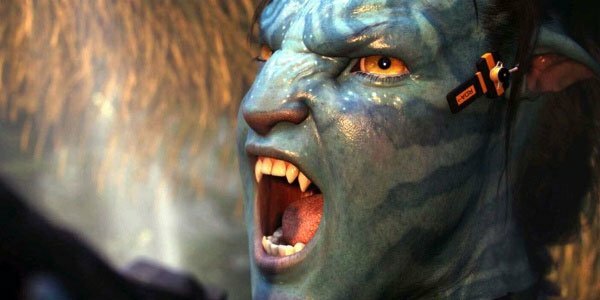 Look deeper and deeper into Cameron’s career as a screenwriter, and you’ll notice a difference between Avatar and anything he’s ever done before. Look deeper and it becomes readily apparent that when it came to story, he simply didn’t care. When the news first came out about Avatar’s game-changing technology usage, no one who knows their Cameron films should have been surprised. Ever since he earned a name for himself in 1984 with the premiere of The Terminator, he has repeatedly proven himself to be at the forefront of computerized technology, be it the “water face” in The Abyss, or the first CGI human character with realistic movement in Terminator 2. Yet, it’s hard to imagine that the same writer made all three films. Up until his most recent film, Cameron’s work, while not on the level of Charlie Kaufman or David Mamet, has always been original and compelling. Who can actually say they felt any type of real emotion when Jake defeated Col. Quaritch? As though there was a chance he’d lose. Yet I know that somewhere out there, there’s a legion of men who still cry when they watch Arnold sink into molten steel and give that thumbs up. Hell, I’m getting teary eyed just thinking about it. But none of that emotion existed in Avatar. Cameron is and was primarily interested in creating entirely CGI characters and putting them into an entirely CGI world; and he needed a platform to showcase his ideas while getting the audience from Point A to Point B.. Everything done early in his career in terms of story and character development was abandoned here, and it seems as though he simply didn’t care. There isn’t a person on Earth who can deny Avatar’s technical achievements. Cameron has created a stunning and beautiful world in Pandora and come Oscar night, those achievements will be rewarded. But Avatar does not deserve Best Picture. Much like Lucas, Roland Emmerich, or Michael Bay before him, Cameron has created a film where visual effects are so highly valued that everything else is pushed aside. And, really, can we blame him? Those are the movies audiences crave. But is what Avatar gives us what we really want to set as the highest standard of cinema? Are we ready to abandon intelligent storytelling and interesting characters in favor of CGI and explosions? Cameron has shown that he doesn’t care. He designed his movie to showcase technology and make money, not tell a good story. If Cameron doesn’t care about his story, then why should Oscar? The Academy needs to send a clear message on Oscar night. Copy/pasting from other movies won’t cut it. Script matters. Consider writing one if you want to win Best Picture.